Can you believe summer is almost over? We've had a pretty mild summer here in the North East, so, Its going out with very little fanfare. 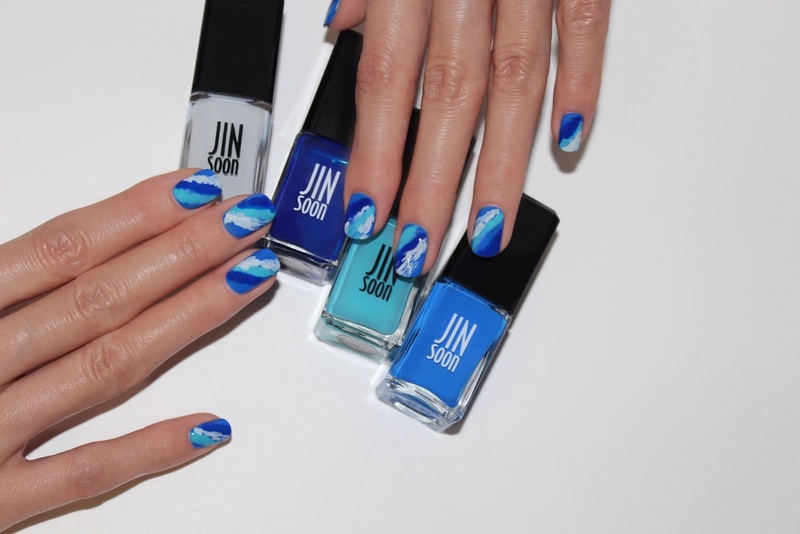 That doesn't mean we can't celebrate with some cool nail art from my favorite nail artist, Jin Soon Choi. Expert Tip: Don't be afraid to smudge/touch the color you applied previously— it's part of the look! If you missed the beach and there isn't a tropical vacation for you come fall and winter, why not wear the waves on your nail! Posted on September 2, 2014 by Christene Carr and filed under Mani Moment, Nails and tagged Manicure Jin Soon Choi JINsoon.